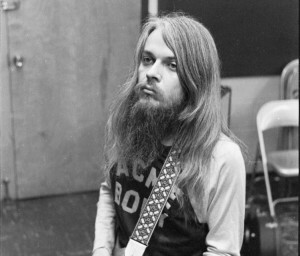 The sad march of death of influential rock ’n’ roll figures continues with the death of Leon Russell on Sunday at 74. Most prominent in the spectacular “Mad Dogs and Englishmen” tour of Joe Cocker and musical director at George Harrison’s Bangladesh benefit concert, his roots stretch back to pop songs in the 60s, when he was part of Phil Spector’s legendary Wrecking Crew band. He remained active over the years, if not always as visible, with continual touring and albums that culminated with the one he made with Elton John in 2010, “The Union.” He was inducted into the Rock and Roll and Songwriters halls of fame the following year. He was quite a songwriter, cowriting two hits for Gary Lewis and The Playboys in the mid-60s, “She’s Just My Style” and “Everybody Loves a Clown.” By the end of the 60s, he wrote “Delta Lady” for Joe Cocker, and another of his co0written compositions “Superstar” was made a hit by the Carpenters. At the point when he had his most rock clout, in the early 70s, appearing as part of George Harrison’s Concert for Bangladesh with superstars Eric Clapton, Harrison and Dylan, he got his chance to watch Dylan’s songwriting in action. Russell, a multi-instrumentalist who has studied piano since he was 3, was so crazy for rock ‘n’ roll as a youth in Tulsa that he lied about his age to play the clubs. Following that experience, Russell moved to Los Angeles in 1958 and became a sought-after session man who played keyboards on most of Phil Spector’s string of hits under the name Russell Bridges. That album came about the time he took the helm of Joe Cocker’s band for the riotous “Mad Dogs and Englishmen” tour. The tour produced a hit album, a movie and the Top 10 single “The Letter.” And it made Russell, listed as “The Master of Time and Space,” a star. Still, he spent a lot of time writing for others. Still, “A Song for You” was recorded more than 135 times, although it has yet to be a big hit; likewise “This Masquerade” was recorded more than 50 times before George Benson made it a hit in 1976.